Minecraft - Pocket Edition - Thanks to the updates, it's become the perfect mobile pastime! About a year ago, the hype about the indie game ''Minecraft'' and its release date reached its highpoint. The mobile version Minecraft - Pocket Edition has already existed for a long and unfortunately offers only an extremely reduced version of the PC version. But in the meantime, the developers have made huge efforts in bringing many updates to the mobile version and it actually has turned out to be a great game! Whether it lives up to the standards of the PC version will be exposed in today's app test review! The authorization showed no abnormalities. 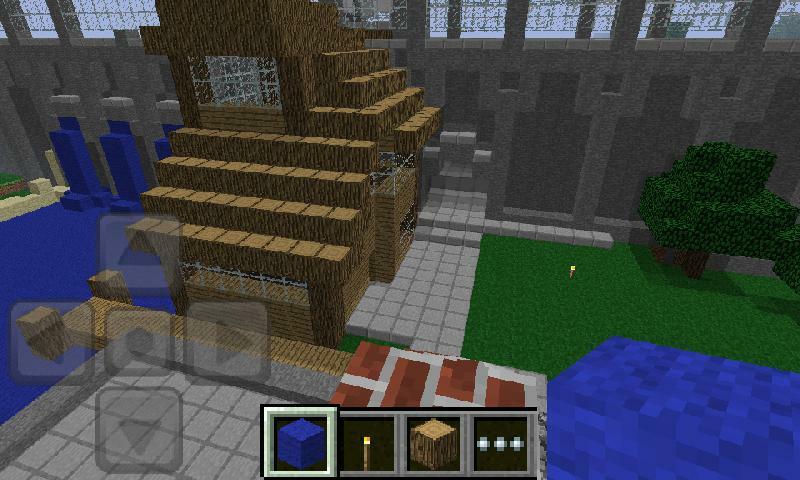 Minecraft - Pocket Edition comes with minimal authorization. Minecraft is a phenomenon . The little game that could started out small but grew exponentially through various forums. For a long time, it was in the beta-phase and was finally launched at the end of 2011. The extremely huge world of Minecraft is made up of square blocks, the earth, sand, rock, various minerals and much more. These blocks can be built up and if you choose, worked on further. You can create tools using blocks made from rock and wood. Depending on which material you organize in the 3x3 grid, you can make tons of different items. With the construction material available, you can even create complicated circuits, like automatized train stations for example. The graphics were purposely very simply made, though they are still quite charming and allow for unlimited creativity. You're able to wander for days on end through various climate zones, while collecting wood and building huge houses or even whole cities. Minecraft offers all of the necessary ingredients and it's up to the user what is done with it all. You can either play in creative mode, where every block offers an unlimited options and the player is the all-mighty powerful creator. There is also the adventure mode. Here the blocks need to be destroyed in order to be worked on or re-located. You also need to eat and steer clear of monsters. The mobile version of Minecraft - Pocket Edition is more than one year old, but is still in the alpha phase. At the beginning, you couldn't do much other than move blocks or destroy them. However over time it got many updates. Even if the mobile version doesn't come close to the PC version, the game has nonetheless become a lot better. What's more, now there are crafts, monsters and an adventure mode. You can even build weapons, tools, beds and many other things just like the PC version. There are also monsters (which include the renowned creeper) and neutral animals like sheep and chickens. The world size is also a bit restricted, including only 512x512x128 blocks and caves. Even though the mobile version has been getting better over the past few months, the question remains if it's really worth getting Minecraft – Pocket Edition? For me the answer is a clear yes! Even if you weren't aware of Minecraft or the PC version, this mobile version will offer you hours of entertainment. The Minecraft feel is fully present and it's a lot of fun since you can be really creative. If you've already played the game on your PC, you might want to think twice before downloading it. The app is great for on-the-go entertainment, even though you'll notice lots of things missing from the original version. On the other hand, it's really cool to be able to bring other players to your own world via Wlan and to build together, just like you are able to on a normal computer. Obviously there is much more to describe! This is what the developers proved with the last updates. 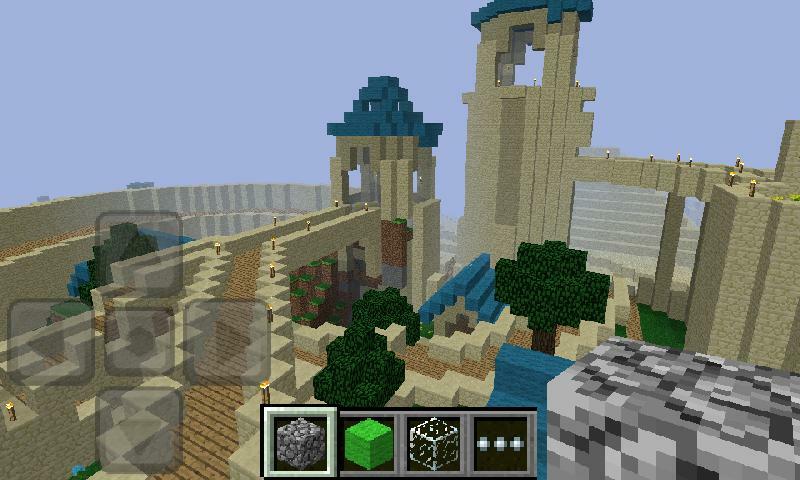 It think it will take some time before Minecraft - Pocket Edition is exactly like the PC version. However they are making an effort to give us more and more content. All in all, the app is a legitimate ''smaller brother'' to the computer version: there is clearly less content, yet it proves to be a very well-made and cool game. As soon as you start playing this game, the sheer fascination and fun won't let you put your phone down. Minecraft – Pocket Edition truly is a great pastime. Minecraft - Pocket Edition's graphics are very closely oriented to the PC edition and offers the same pixelated and block landscapes that Minecraft fans love. When you first try it out and look a bit closer, you do see that the graphics aren't as detailed. On the other hand, you don't have to give up on the usual look and just need to live with graphics just a tad inferior. The navigation within the app was well set up, but you do need to practice a bit before being able to precisely place a block where you want it to go. When I tested out the very first version of the app, there were a lot of stability problems. Now Minecraft - Pocket Edition is very stable and fast. If you have an older device, there's the option of setting it up with simpler graphics. 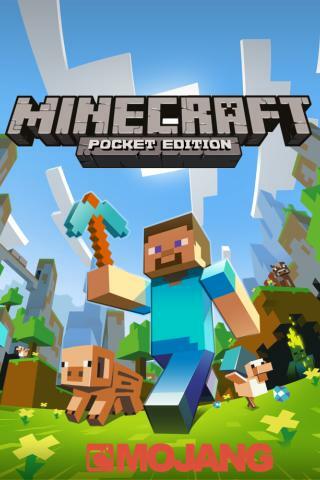 Minecraft - Pocket Edition is available for 5.49 Euros in the Google Play store and is also ad-free. This isn't that terrible of a price and the game offers you hours of fun. On the other hand, it isn't exactly a deal. If you would like to try it out, there is a demo with limited functions.